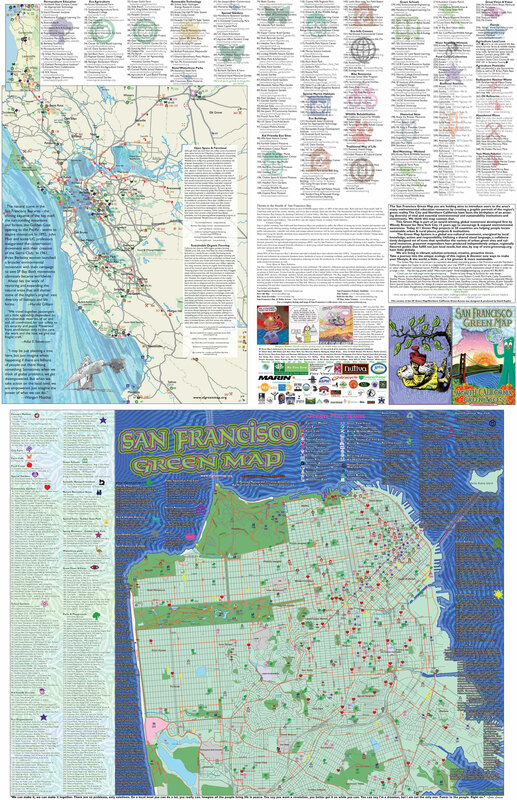 The San Francisco Green Map introduces the area's many sustainable living resources. Over the years, residents have printed 3 editions of the SF map - David Kupfer's was the most recent. Download it from the link above. A new collaborative interactive edition is a 2014 goal!